It's fun to read your reference to the "outliers", and to review the six highest price sales of Fall 2016, to consider which have been "validated" since then and which remain as "outliers". I'll give it a go, and we can see whether others might see it differently. Of course, this is all just an estimate / guess, without actually seeing and comparing some of the watches, in the metal. 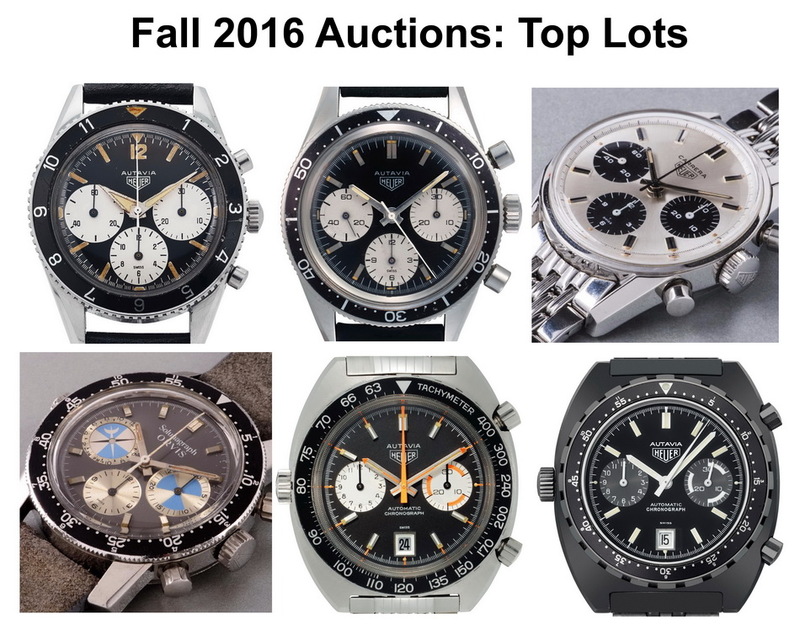 Autavia, Ref 2446 (Big Subs), for $125,000 -- of course, we saw the "all lume" version sell for cloase to $200,000; I would think that a really nice 2446 "Big Subs", with these second execution hands could sell for $125,000 in todays market, so I'll call it "validated". Carrera, Ref 2447 SN, for $40,480 . . . earlier today, Christie's sold one for almost $35,000, so I will call that "validated"
Autavia, Ref 1163 (Orange Boy), for $50,000 . . . this one is difficult to classify . . . even if this one was in the best condition we have ever seen, I wonder whether this $50,000 is attainable today . . . maybe / maybe not . . . so let me pass on classifying this one. Autavia Ref 113.603 (IDF-issued), for $63,614 . . . we saw two of these sell above $60,000 . . . still, I'll go out on the limb, and say that we saw two "outliers" / irrational prices.